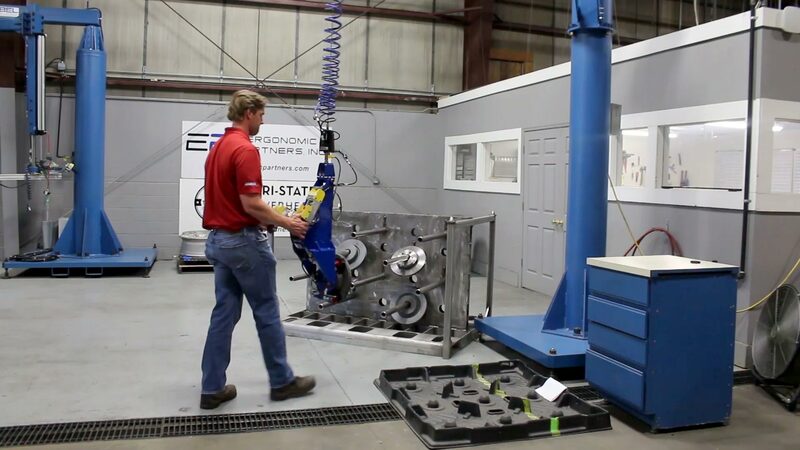 This custom grip tool is integrated with a Demag 2-Speed Hoist and Gorbel Workstation Crane. 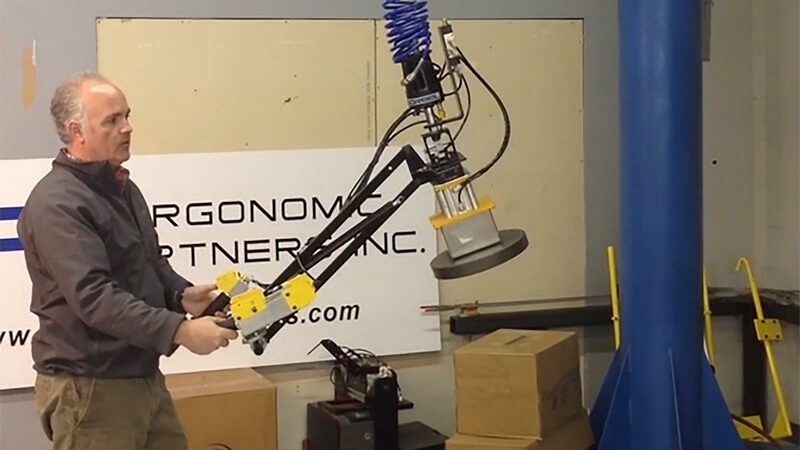 The tool features four air actuated magnet grippers, the magnets can float up, down, swivel and tilt allowing for maximum grip force on the parts surface. The tools center of gravity and magnets can be adjusted to lift different types exhaust systems. Other features include an ergonomic floating handle, and gripper safety circuit preventing release of the exhaust systems in mid air. 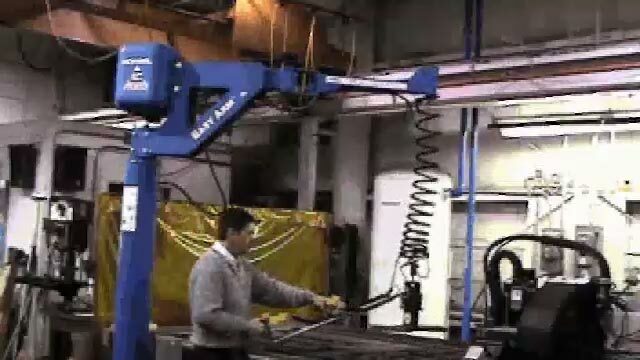 This custom magnetic lifting device grips large steel plates for loading into a brake press machine. The tool features three air actuated magnet grippers, easy grip handles with grip/release and soft touch proportional up/down controls. The tool is integrated with a Gorbel Easy Arm using the G-Force intelligent lifting hoist. 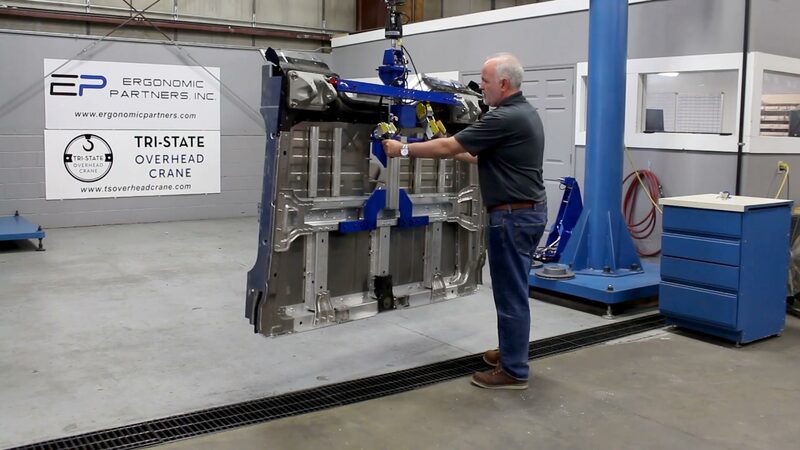 The G-Force hoist allows a single operator to use its zero-gravity float mode feature to place the sheets into the brake press while the press bends the sheet metal. This allows the G-Force to do all the lifting preventing worker injury and fatigue. 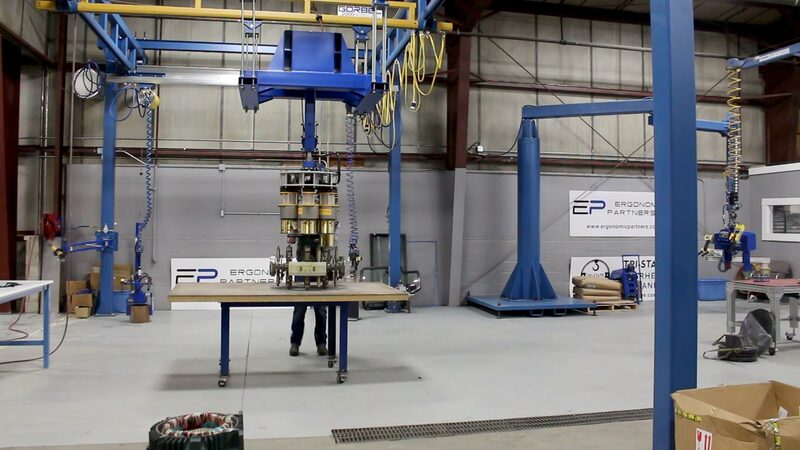 This custom lifting device grips and pitches high temperature automotive parts. The tool features four air actuated magnet grippers, and easy grip handles with two soft touch proportional pendants. The tool is integrated into a Gorbel Easy Arm with the G-Force intelligent lifting hoist. The G-Force hoist has a 200 fpm lift speed enabling operators to pick and place parts very quickly, allowing for 20 second cycle times. This custom straight transfer tool grips, traps and lifts large truck floor pans. The tool features two air actuated magnet grippers, mechanical trap and grip pads, and easy grip handles with two soft touch pendants. 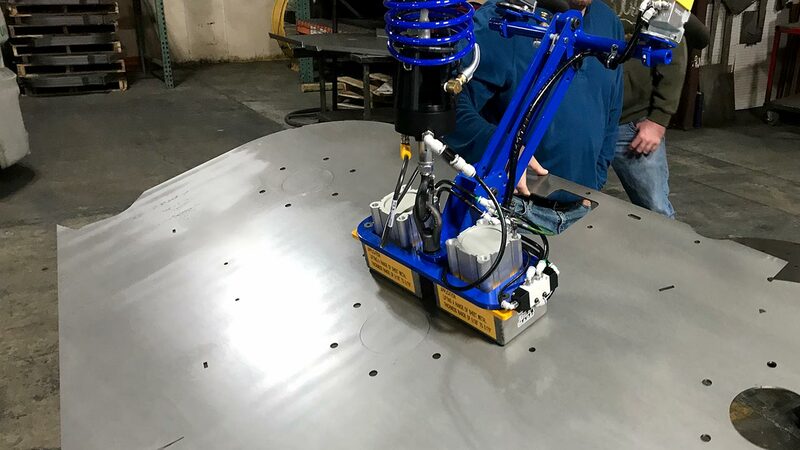 The tool is integrated into a Gorbel Easy Arm with float mode and uses our Ergonomic Partners Gripper Safety Circuit preventing the operator from accidentally releasing the floor pans in mid-air. 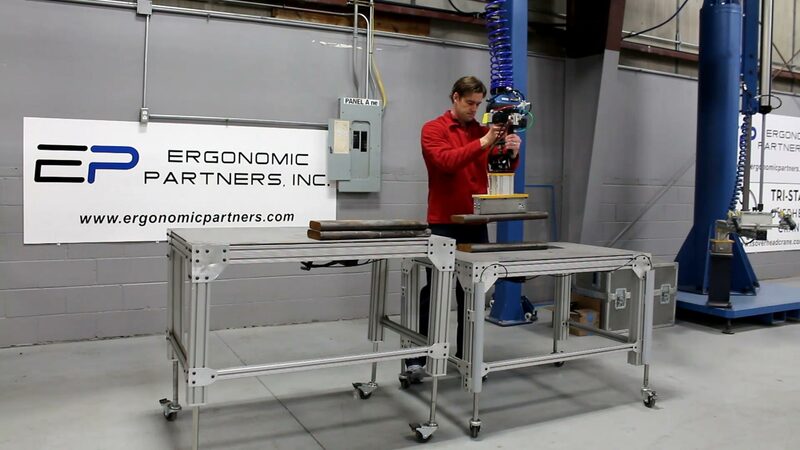 This air actuated magnet gripper is designed to pick up 60 pound parts with six level compensated magnets. The magnets automatically pivot to allow for maximum surface contact with the metal parts. 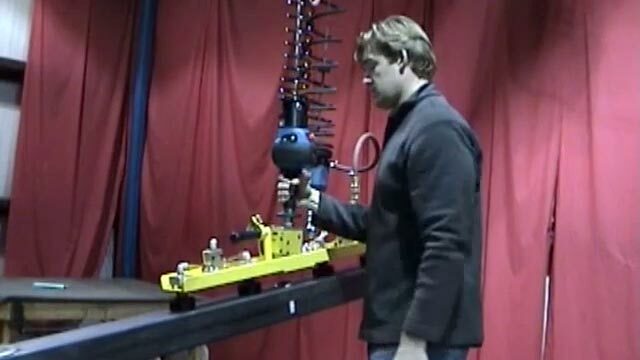 Air Operated Magnet Manipulator to grip multiple wire spools and load onto an unwinding machine. The rigid vertical lift cylinder is designed to lift up to 500 pounds of creels at once. 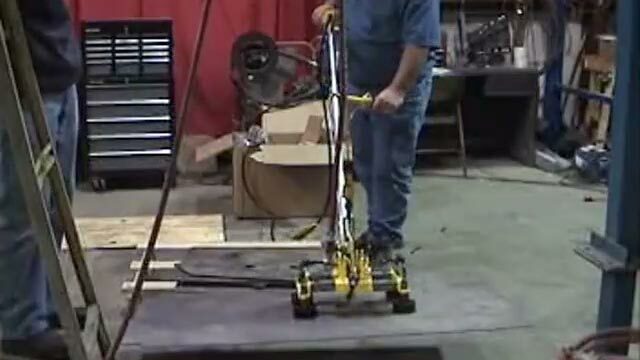 This tool was designed to lift up to 100 pound plates of material off a table and move the parts onto a pallet located on the floor. 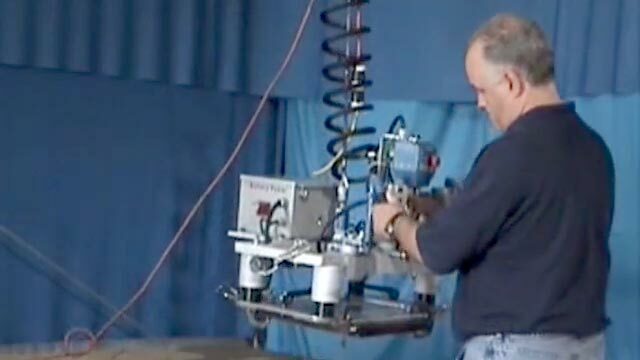 The magnet on the tool can reach several feet into a burn table and pick-up several different sizes of parts. Our air actuated magnet grip and lift tool is designed to pick up 80-pound bar stock. 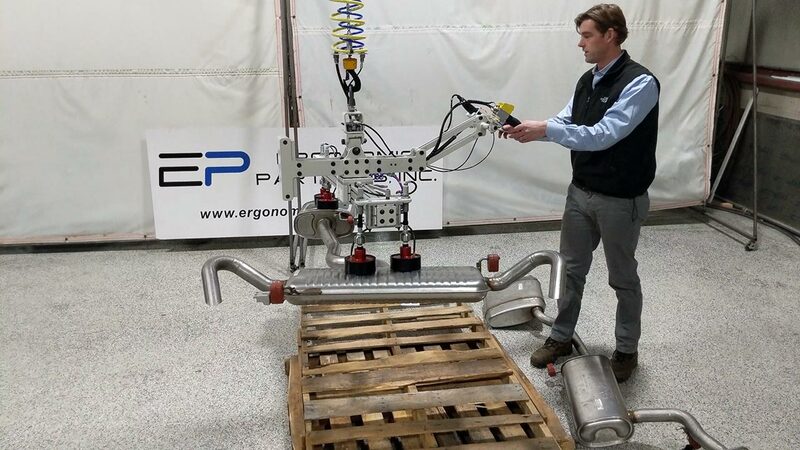 The magnet lifting device features our Ergonomic Partners Gripper Safety Circuit preventing the operator from accidentally releasing the bar stock in mid-air. See how easily the Gorbel G-Force with a custom IMI permanent magnet grip tool lifts 80 pound steel tubes. Custom permanent magnet gripper tool integrated with a Gorbel Easy Arm for unloading parts from a laser cutting table. 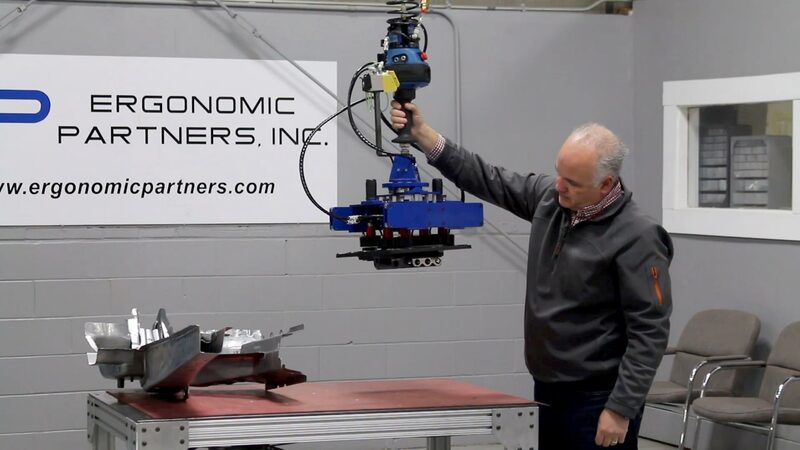 We used permanent magnets in the custom gripper tool and integrated it with a long handle for unloading steel parts from a laser cutting table. This tool features four electromagnets integrated with a G-Force to lift a 90 pound part. The tool includes an interlocking release and battery backup.